Contrary to what you may think, local Aboriginal people did not lose their culture and die out within decades of Governor Phillip’s arrival in Sydney in 1788.Aboriginal people are prominent in accounts of early colonial Sydney, yet we seem to skip a century as they disappear from the historical record, re-emerging early in the twentieth century. 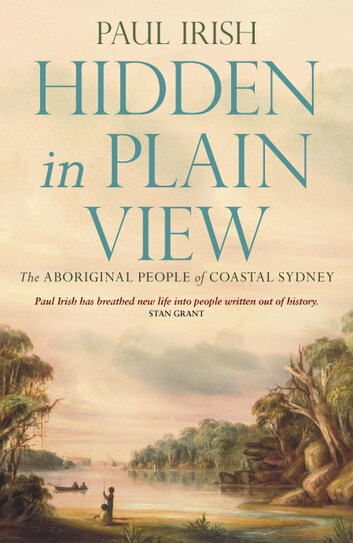 What happened to Sydney’s indigenous people between the devastating impact of white settlement and increased government intervention a century later?Hidden in Plain View shows that Aboriginal people did not disappear. 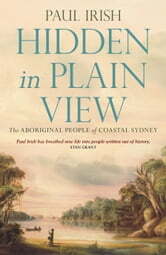 They may have been ignored in colonial narratives but maintained a strong bond with the coast and its resources and tried to live on their own terms.This original and important book tells this powerful story through individuals, and brings a poorly understood period of Sydney’s shared history back into view. Its readers will never look at Sydney in the same way.